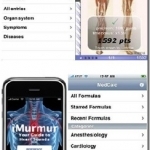 In this comprehensive review, iMedicalApps compares the free versions of the six of the best-known medical reference apps for the iPhone/iPod touch/iPad: Epocrates, Lexi-Comp, MedScape, Micromedex, Pepid, and Skyscape. 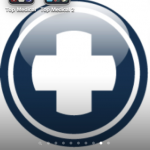 The best free iPhone Medical Apps for Doctors, medical students, and other health care professionals. 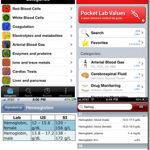 Free iPhone Medical Apps for physicians, medical students, and other health care providers that are useful in the hospital, clinic, or for educational use. 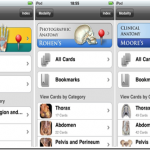 This is a review of 3 Anatomy Apps developed by Modality, but from the following textbooks: Clemente’s, Rohen’s, and Moore’s. We comment on how these applications could take advantage of the iPad’s screen size and resolution and be used to visually educate patients on specific anatomic pathologies. This review focuses on why this is the best wikipedia app for looking up legitimate references and papers via the Wikipedia portal. 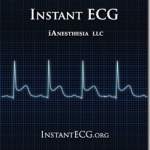 Comparison of the Instant ECG app verse the ECG guide app. We compare the two most popular ECG apps in the App Store and crown our favorite ECG iphone app. In this review we take four different lab value apps and put them head to head against each other. Find out who comes out on top!